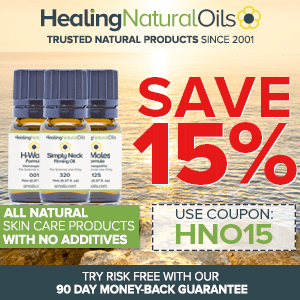 To say that the prices of essential oils vary significantly would be an understatement, and I am not just talking about the same oil from different manufacturers here. You can pick a 5 ml bottle of lavender, peppermint or lemon oil for $10-$15. These oils are very popular, easily available and come with an affordable price tag. But then there are other aromatic extracts, which are so exotic and rare that they can easily set you back by $50 or more for a mere 1 ml. The worst part is that these oils are so precious that despite paying hundreds for a few drops, you can’t be sure about their purity. So, why the shocking difference in prices? What makes these oils so rare and expensive? Essential oils form a very tiny part of the botanical material they are extracted from; think a measly 0.5-1%, and this too is on the higher side. 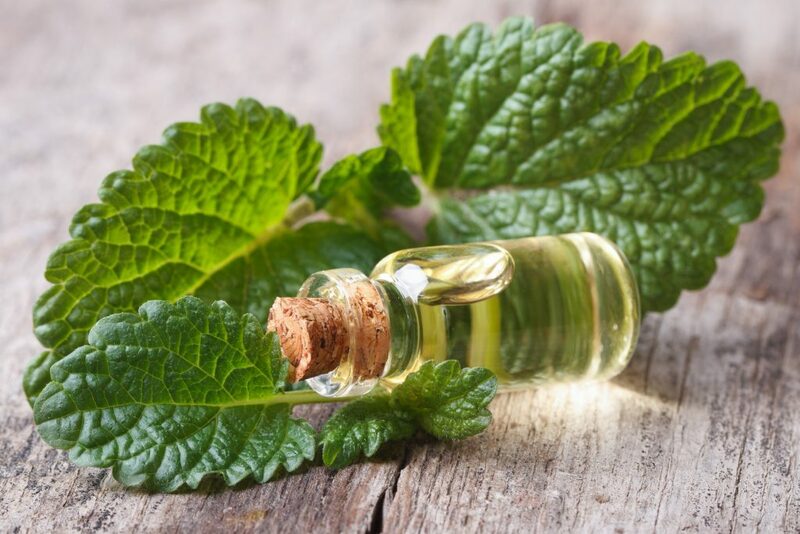 For instance, it takes approximately 100 kilograms of peppermint leaves to extract a mere 1 kg or less of peppermint essential oil. Now, even if the botanical materials for two oils have the same price, a minute change in the yield, from say 1% to 0.5%, can make a huge difference in the cost of production. For example, rosemary and peppermint cost almost the same. But while peppermint offers a yield of 1%, you can get 2% from rosemary and this is reflected in the prices of these oils. Rosemary essential oil can be bought for about $15-$20 (15 ml) while peppermint cost more at $25 to $30 (15 ml). Similarly, basil is cheaper than both rosemary and peppermint, about 35% cheaper, but it offers a yield of just 0.02-0.04%, hence sweet basil oil has the same price tag as peppermint oil. The harder it is to grow and harvest the plant material needed for the oil, the more expensive the extract will be. For instance, floral oils are almost always more expensive than citrus oils. To get 1 kg of lemon essential oil, you need 3,000 lemons, which is the annual output of a single plant. But you would never get as many flowers from a small flowering shrub. Plus, flowers offer a lower yield and the plants are highly susceptible to pest attacks. Because we are talking about botanical raw material here, the risk of degradation is quite high. Essential oils derived from plant matter that spoils/degrades quickly after harvest are usually more expensive than extracts derived from botanicals that can be stored. Once again, I am going to cite the example of floral oils here. Flowers start degrading if they are not processed within a few hours of harvest. Moreover, in case of some flowers, like the very rare and precious Champaka, the harvesting has to be done at a specific time of the day to get the best quality output. If the botanical material needed for a particular essential oil can only be found in remote locations and has to be transported to the manufacturing units, this is bound to increase the cost of production. If the region/country of origin is witnessing a strife of some sort, it becomes harder to get access to the botanical matter produced there. For instance, the price of frankincense oil had sky rocketed in the wake of the Arab Spring. If the plant material also has other applications or is expensive to begin with, the oil extracted from it will undoubtedly cost more. A classic example of this would be St. John’s wort, which went from being an oil extracted from a noxious weed to a super expensive precious oil the minute the world discovered the medicinal properties of the plant. Similarly, spice oils which come from expensive plant material have a higher price tag. 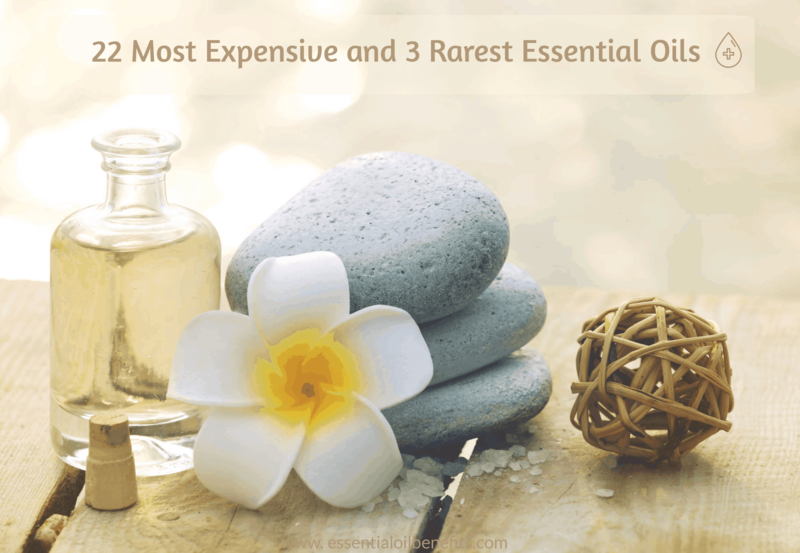 So, now that you know about the factors that contribute to the value of an essential oil, let us talk about the most expensive, rare and precious extracts in the market today. Also known as blue chamomile, this oil is rich in a potent anti-inflammatory and antioxidant compound called azulene, which lends the oil its deep blue color. The essential oil is extracted from the flowers of a daisy like plant, Matricaria chamomilla. This is a self-seeding plant that grows close to the ground and bears only a few flowers on its thin stalks. 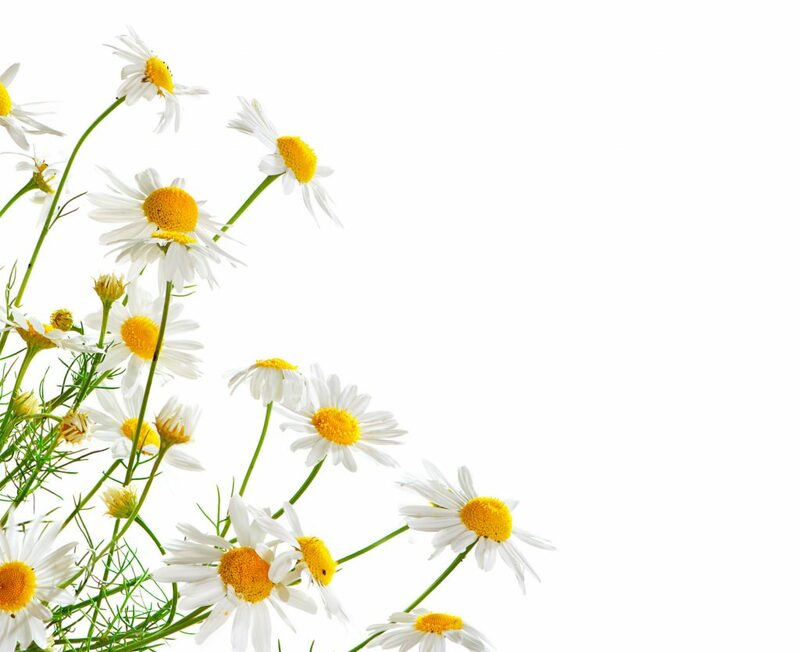 The white blossoms offer a yield of no more than 1%, which means that nearly 7 pounds of botanical material is needed to produce 1 ounce of German Chamomile oil. Add to this the fact that this particular extract has found favor with many cosmetic product makers and it is easy to understand why it costs as much. Skin healing properties that work well on dry, irritated, flaky and problematic skin. Very effective against psoriasis, eczema, rosacea and other inflammatory skin disorders. Calms the mind and promotes restful sleep. Not too long ago, St. John’s Wort or H. perforatum was being shunned as a noxious and highly invasive weed and yet here we are today discussing its extract in our most expensive oils list. The small shrub has its myriad of therapeutic benefits to thank for its newfound fame and acceptance. Although the plant will grow on and through everything that stands in its way, it’s not the best source of volatile oils. In fact, the Hypericum species is notorious for its poor oil output. St. John’s wort is no different, offering a meagre yield of just 0.06% through steam distillation. The plants have to be harvested at the full bloom stage to improve the yield even marginally. Promotes rapid wound healing and closure. Works well on all sorts of skin insults including sunburns. This oil is extracted from the hops cones or female flowers of Humulus lupulus, a rapidly growing vine. The cones are used as a bittering and flavoring agent in beer making. So, manufacturers start with high value plant material. The low essential oil percentage of just 0.5-3% and the rapid degradation of the cones when stored add to the cost of extraction. An effective calming and relaxing agent. Analgesic agent with mild sedative properties. Works well against migraine headaches. Potent soothing agent that can be used against restlessness. You might think that this oil would not cost all that much given that it’s extracted from the heartwood of Santalum spicatum, a tree that grows in the semiarid regions of Australia. But, what makes this oil precious and rare is the 30-year wait period before the tree can be used for essential oil manufacturing. Also, the tree has to be felled for use, which means that it is a highly exhaustible resource. Moreover, the popularity of Australian sandalwood oil has been fuelled by the “endangered species” or “vulnerable” status received by its lofty brother Santalum album (Indian sandalwood). Very effective against skin problems, including hyperpigmentation and sun damage. Anxiolytic and calming agent that helps to soothe agitation and negativity. Works well against acne and the scars caused by the blemishes. Potent ingredient to treat age related skin damage. The root and the plant of Angelica Archangelica are held in high esteem not only for their therapeutic value but also for their ability to ward off negativity and evil. The oil is derived through steam distillation of young roots that are harvested from plants that are no more than 2 years old. The premium price is attributed to the plant finding several other uses in alternative therapies. Plus, the roots can only be harvested by uprooting the plant, which means that the resource is exhaustible. To add to the paucity of supply, the yield decreases significantly when the plant is grown under organic conditions and natural light. The average yield is just a bit over 1% for this root. Stimulating and energizing oil that wards off stress, fatigue and anxiety. Stress reducer with a grounding and calming effect. Distilled from the leaves of the violet plant (Viola Odorata), the deep green color of this oil is an indication of its intensely green aroma. The uniquely fresh and leafy fragrance of the extract is frequently used in the perfume industry to tone down the overbearing sweetness of floral fragrances. The botanical material needed for this absolute is sourced from Egypt and comes from a small, spring-time plant. The yield is less than 1% and the leaves can only be harvested between December and May. The botanicals also have to be transported within a few hours for distillation or they degrade rapidly. Works on timidity and lack of confidence. Effective against fluid retention and edema. Can be used to treat rheumatic conditions. This highly fragrant oil is distilled from the petals of Rosa centifolia, commonly known as the cabbage rose. The beautiful pink blooms are highly fragrant and widely cultivated for the extraction of essential oil, which is used in the perfume industry. As a plant, rose of any variety is exceptionally susceptible to pest infestation. Moreover, the delicate blooms of Rosa centifolia although plentiful in petals offer a dismal yield of 0.02%-0.1%. Plus, the flowers degrade and the potential for yield plunges rapidly if the blooms are not harvested at the right time and distilled soon after. 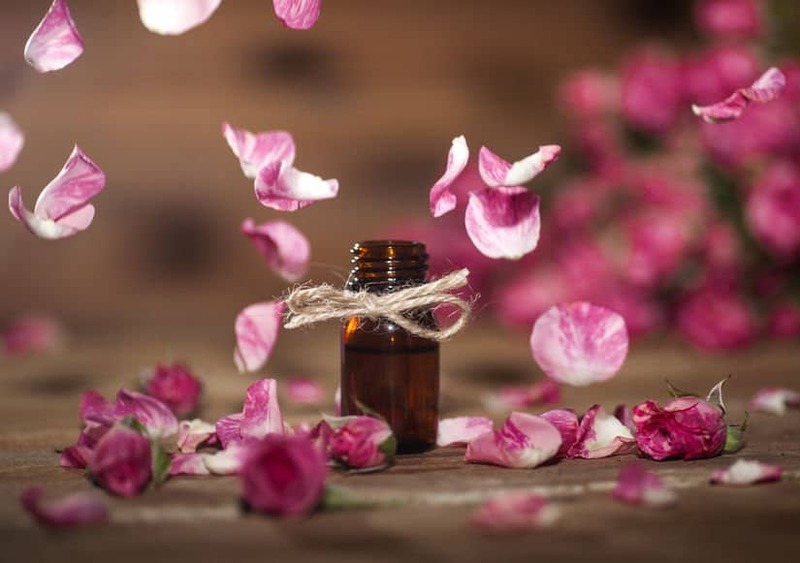 So, 1,000 kg of petals get the manufacturers a mere 150-200 gram of essential oil, or look at it this, about 50-60 blooms go into the making of 1 drop of this precious essential oil. Effective against age related skin damage. Promotes feelings of happiness and wellbeing. The blooms are a bright yellow, but the oil distilled from them is deep blue, thanks to its content of chamazulene, which explains the name Moroccan Chamomile. 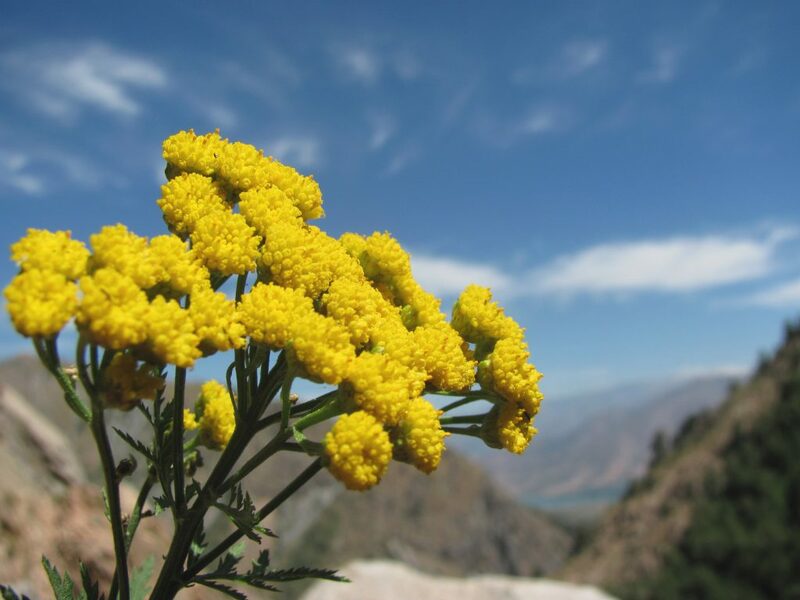 The yellow flowers grow on a rare warm weather shrub, Tanacetum annuum, and bloom only between July and September. The flowers are delicate and have a low yield of 0.8%. 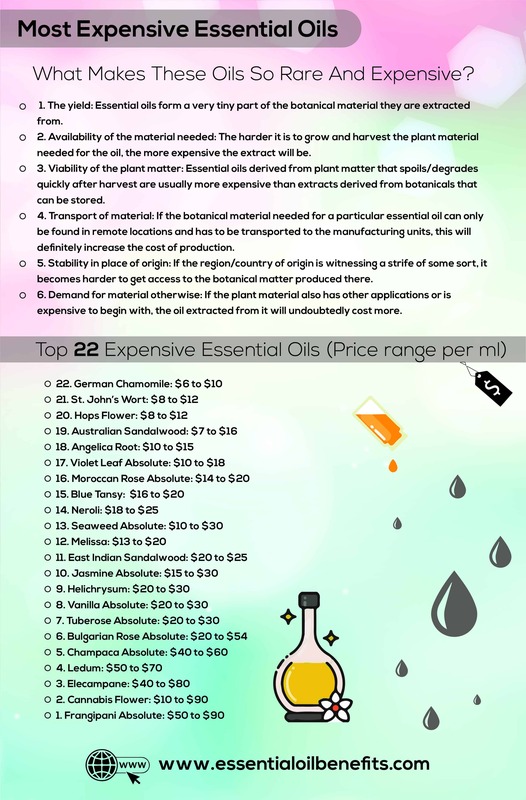 Add to this the enormous demand for the oil for use in high-end skincare products, and it is easy to see why the prices of this extract have been sky rocketing. Effective against rosacea and psoriasis. Anti-histaminic and anti-allergenic properties that help to alleviate sinus problems and asthma. Can be used to treat muscular pain. This sophisticated floral, which remains a hot favorite among perfumers, is derived from the dainty bitter orange blossoms. The premium price of this oil is attributed to its popularity, low oil output as well as harvesting difficulties. The flowers have to be plucked between March and April and the total botanical output of the 3 major producers stands at just 2000 tons, which equates to 1500 kg of Neroli Absolute per year. The finest and most expensive oil comes from France and Tunisia. Works simultaneously as an anti-depressive and energizing agent. Powerful astringent that can be used to prevent and treat skin sagging. Help in preventing and removing scars. Effective against insomnia and stress. You may not have heard of this essential oil as it’s fairly new even to the perfume industry. Steam distilled from the powdered form of a sea weed (Fucus vesiculosus), the oil has the distinctive aroma of all things ocean. The weed can only be found on the rocky shores of the Western Baltic and North Seas and offers a yield of just 1%. Because it has applications in both skincare and the fragrance industry, there isn’t a lot left for aromatherapy enthusiasts, which explains the high price. Effective on under eye wrinkles and dark circles. Works on all signs of skin aging. Skin emollient with antioxidant properties. The oil is extracted from the leaves and the whole plant of Melissa officinalis, which is a perennial shrub. The herb has culinary as well as medicinal applications and is used both in the perfume and the food industry. The high demand for Melissa oil has led to a steep increase in its price. The yield of the plant matter is notoriously low at just 0.014 to 0.12%. Commercial cultivars tend to have a lower percentage of essential oil than wild harvested plants. Distillation is done with both fresh plants and the dried herb. Has anti-inflammatory properties that can be used against premature skin aging. Increases alertness and improves cognitive functions. Effective against antibiotic resistant bacteria. This fragrant oil comes from the heartwood of Santalaum album. The species has now been declared endangered and all efforts to commercially cultivate it have failed. The tree has to be allowed to mature for 30 years before it can be harvested. Those that are younger than 15 years offer a substantially lower oil output. The species is highly susceptible to spike diseases, which kills even a mature and healthy tree within 3 years of infection. The essential oil yield of the heartwood is 3-5%. Soothing astringent with skin healing and toning properties. Relaxing and calming agent that promotes mental clarity. Natural aphrodisiac that can be used to treat frigidity and lack of desire. The tiny white flowers of the vigorous climber have always been in demand for their sensual aroma, as is their oil. The plant is cultivated only for its blooms, which are sold fresh as well as for essential oil distillation. The floral yield is seasonal and the blooms have one of the lowest oil percentage, which stands at just 0.02- 0.04%. Only the petals of the tiny flower are used for extraction, which works out to over 100 lbs. of raw material for every ounce of jasmine absolute. Effective against sleep disorders and insomnia. The colorful blooms of Helichrysum italicum have earned themselves the monikers “everlasting” and “immortelle” because they retain their gorgeous hues and straw-like appearance even after they dry. The oil is extracted from these small and colorful flowers. From the daisy family, the small shrub grows on rocky and dry ground. So, as you can imagine the harvest is not exactly bountiful. Plus, the leaves are used as an herb in some forms of Mediterranean cuisine. But the primary reason for its high price is the low yield of just 0.02 to 0.04%. Powerful anti-inflammatory and skin healing agent. Natural diuretic agent and digestive aid. 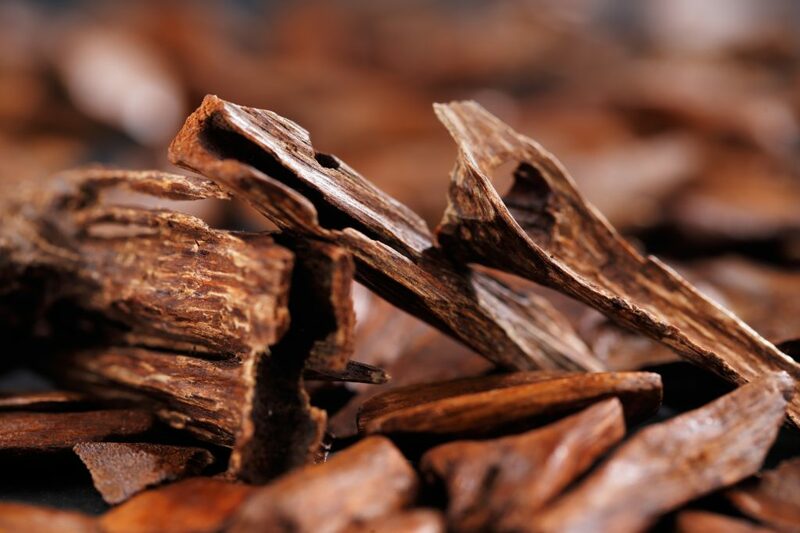 Solvent extracted from cured vanilla beans, this oil is used in the food, perfume and cosmetic industries, which has led to a very high demand for the extract. The process of curing the beans is both labor and time intensive and it takes about 6-9 months to get the raw material ready for extraction. The oil yield is fairly high at 4-7%, but these are seed pods of an orchid (Vanilla planifolia), which are notoriously fussy plants and slow growers. So, there is always a shortage of raw material. Effective against stress-induced pain and restlessness. Potent relaxing and tranquilizing agent. The flowers are tiny and delicate and have a gorgeous, heady aroma that is hard to capture. Solvent extraction leads to an output of just 0.1- 0.3% of the plant material weight. It’s one of the most preferred choices for fine fragrances, given its complexity and sweetness. Polianthes tuberosa, the plant that bears these tiny blooms is native to Mexico, which means that it does not do too well in colder zones. Calms anger and other negative emotions. Can be effective in treating addictions, e.g. smoking. Has a warming effect on the body. This highly fragrant oil is solvent extracted from the petals of the famed Rosa damascene. It has been in the list of the most expensive perfumery ingredients for the last several decades. The blooms can only be harvested for 20-40 days a year and call for significant manual labor. Damask rose petals also have culinary and medicinal uses, which further adds to their value. Then, there is the low yield, which stands at a mere 0.02- 0.14%. In terms of fragrance, Bulgarian Rose absolute has fruity undertones and is pleasant without being overpowering. Astringent agent that tones the skin. Prevents and treat premature skin aging. Anti-depressive agent that increases self-confidence. Gives rise to a sense of well-being and harmony. The Magnolia champaca tree is tall; the blooms are a gorgeous golden yellow and their fragrance has rightly been described as hypnotically ethereal. So, it is no wonder that many perfumers are selling this as an expensive single-note fragrance. It has always been a big hit in the perfume industry and given its sensual appeal will continue its run. The high price is a result of the constant and higher demand than supply of the oil. Although a single tree can offer up to 25,000 flowers annually, the blooms degrade within a matter of hours, going from golden yellow to dirty brown and losing their precious fragrance in the process. They have to be picked between 2-3 AM. and processed later in the morning. Because they form very little bulk, a larger quantity of the raw material is needed for extraction. The yield stands at just 0.19-0.22% of the flower weight. Promotes openness, confidence and intimacy. Eliminates self-doubt and confidence issues. This precious oil is distilled from Greenland Moss or Ledum groenlandicum, which is a flowering shrub found on alpine slopes and marshy bogs of Greenland, Alaska and Canada. It finds use in the liquor industry as well as herbal medicine. Although the oil yield is comparatively high at 1.5 – 1.7%, the plant material is hard to come by, which explains the high price. Skin healing and anti-inflammatory properties. This oil is distilled from the roots of a plant from the sunflower family that has several legends to its credit. The Celts held it sacred, and it is believed that Helen of Troy had worn the blooms in her hair when Paris, the Prince of Troy, abducted her from Sparta. Another legend is that the flowering plant sprang up wherever her tears feel. The essential oil is derived from the bright colored blooms and has seen a phenomenal upsurge in its demand since absinthe was unbanned. Apart from the holy trinity and a host of other herbs, Inula helenium or Elecampane is also often used in the preparation of the spirit. The herb is used as a stimulant and expectorant in alternative medicine and as a flavoring agent in the food and beverage industries. Its warm and intensely herbaceous aroma also finds takers in the fragrance industry. Since the strength of the aroma is not particularly high, a greater quantity of the oil has to be used to get the desired effects. This has further increased the demand for the oil and its price, despite a fairly high output of 1-4%. Supports the respiratory system and acts as a potent expectorant. Antiparasitic agent that improves digestive health. No; this isn’t hemp seed oil! This aromatic extract is produced through the steam distillation of the flowers and young leaves of the female plant of Cannabis sativa. 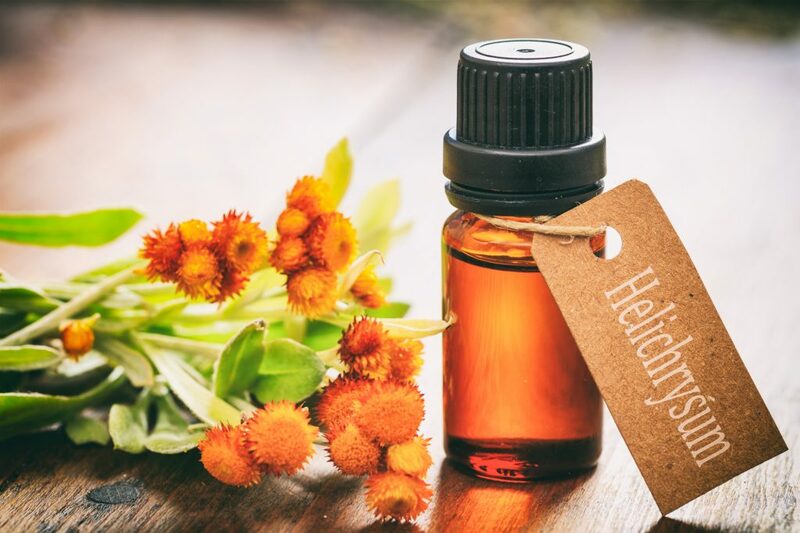 The essential oil has a sharp herbaceous aroma, hence it is widely used in the manufacture of perfume oils, toiletries, candles and other products. It’s also incorporated to a lesser extent as a flavoring agent. Cultivation of cannabis sativa is illegal in most countries, which means there is a persistent shortage of raw material. Plus, the yield is a mere 0.29% and this too decreases with storage, often reaching 0.13%. Prices vary significantly depending on local laws. Relieves chronic stress and anxiety. Antimicrobial agent and insect repellant. Has sedative and anti-spasmodic properties. Plumeria or Frangipani is a small tree that is often used as an ornamental plant in tropical countries. The flowers bloom in clusters and range in color from white and cream to various shades of pink. They look utterly gorgeous and smell divine and the absolute of these blooms attempts to capture that very ethereal essence. The flowers are at their most fragrant at night hence they have to be harvested after sundown. The scent is heady, waxy, sweet and intensely floral with hints of spice, which makes it an ideal ingredient for the perfume and cosmetic industries. The flowers, although long lasting when on the plant, don’t do well once plucked and have to be processed within hours. The essential oil yield is quite low at just 0.016%- 0.04%. Used to bring on a meditative state. Eases tension and encourages happy thoughts. Connects you with your inner self as it enhances self-awareness. You may not have heard about some of these! Yes, these are really that rare and most often that expensive. 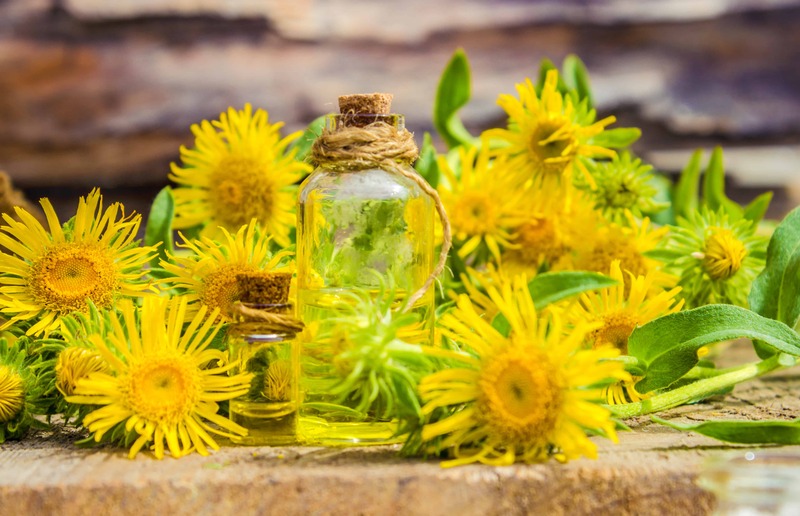 The demand for these oils greatly supersedes the supply, and most of it comes from major fragrance, skin care and cosmetic product manufacturers. So, what trickles down to retail buyers is often just a few 100 ml per year, which should tell you why it can be hard to find even 1 precious milliliter of these oils. Here is a look at some of these exotic and enthralling gems from the aromatic universe. Let me start by saying that this precious oil has retained its position in the top 5 most expensive perfumery ingredients in the world for the last several decades. The scent is warm, inviting, alluring, balsamic and woody all at once. Oudh is extracted from a resin that comes from the Aquilaria/Agar tree. Although 15 different tropical species come under this broad classification, almost all of them are now threatened species. But, that is not where it ends! The resin is only produced when the mature tree gets infected by Phialophora parasitica. The black and highly fragrant resin is actually secreted as a defensive measure against the parasitic mold. Only about 2% of all trees get infected by the mold and all attempts to artificially infect the tree and produce Oudh synthetically have been disappointing. So, this leaves a world that pines for the divine scent of Oudh with an annual volume of 4,000 liters, which is sold at a staggering cost of $6 to $12 billion. Of course, this also includes the market for agar wood, which are simply wood chips from the tree that are used in incense making. In fact, so rare is this earthy, black ingredient that it is often called liquid gold, and of the thousands of perfumes released each year, rarely more than 1 has this ingredient in it. If you want a whiff of this miracle of nature, it will cost you $300- $500 for a tiny bottle of just 3 grams. The bright orange strings are actually the styles of the purple flowers of Crocus sativus. And, there are only 3 of those in each flower. This is a seasonal plant that flowers in autumn and has a low flower yield. In general, 150,000 plants have to be harvested to get around 2 lbs. of saffron. The process is highly labor intensive and takes over 800 hours of work. Is it any wonder then that saffron is the most expensive spice in the world? Fortunately, a small amount of the highly fragrant spice goes a long way. Given the rarity and the paucity of the raw material, adulteration and false claims abound. For instance, what is sold as Saffron essential oil is usually a macerated oil made by infusing the herb in a carrier oil. On the other hand, the saffron absolute is derived through solvent extraction. The reddish golden liquid has a unique warm, spicy and earthy aroma with subtle floral undertones. Generally, you will end up paying $20 to $50 per ml for this aromatic celebration. This is the most extraordinary, out of this world and ethereal scent that I have ever had the pleasure to experience. I know the perception of aromas are subjective but everybody who I know, and who has enjoyed the fragrance of these unassuming blooms, can’t stop raving about it. The white flowers are not much to look at with 5 petals growing out of a filament like stem. The plant, Hedychium coronarium, is from the Zingiberaceae family and is common in the Himalayan region of Bhutan, Nepal and India. Also known as butterfly lily, the flowers are intensely fragrant. The absolute derived from the blooms comes on very strong at first but as you let it evolve, it will hit you and embrace you, caress you and cloy at you till you can’t help but surrender to its beauty. The amber colored liquid combines the exhilarating floral aroma of tuberose and gardenia with the narcotic effect of jasmine. In case you are wondering about the price tag on this olfactory treat- it’s moderately priced at $20-$30 per ml. But, it can be extremely hard to find the pure stuff! 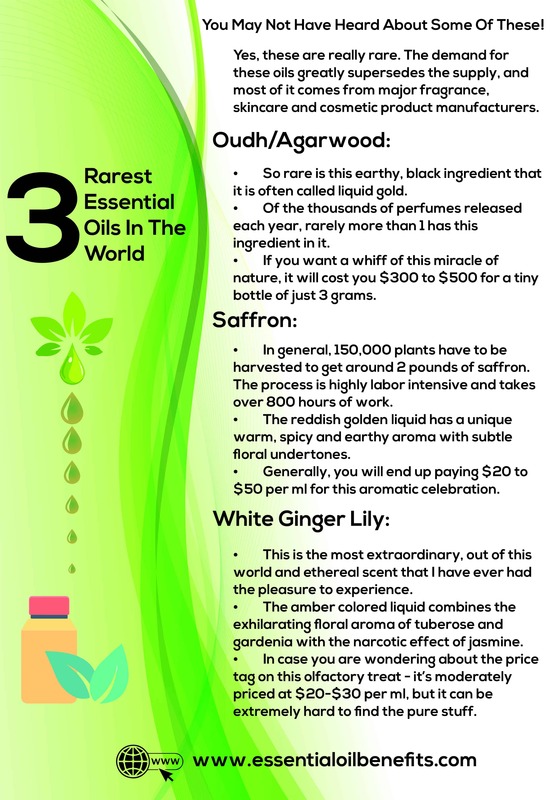 I totally understand, essential oils are pretty expensive almost worldwide and more so when you take into account the currency conversion to USD. Thank you so much for your comment and sharing an excellent tip. Unfortunately, I will probably never smell the scent of most of these expensive oils do to my middleclass poverty. Each year I read about new essential oils being produced from plants never tapped before. Have you ever run across tobacco blossom essential oil from Hungary? The potential to find new essential oils seems limitless. Also new carrier oils are turning up from a wide range of seeds. I wonder what uses will be found for kiwi fruit seeds for example. The whole field of plant oils is open to a vast amount of exploration. You’re right, even I haven’t had access to all those essential oils and its a no – I have not come across tobacco blossom essential oil. Sound really intriguing and mysterious.